The processing pipeline is very different from "classic" ASP.NET. as well as testing with IIS Express, publishing to local IIS is much more involved. 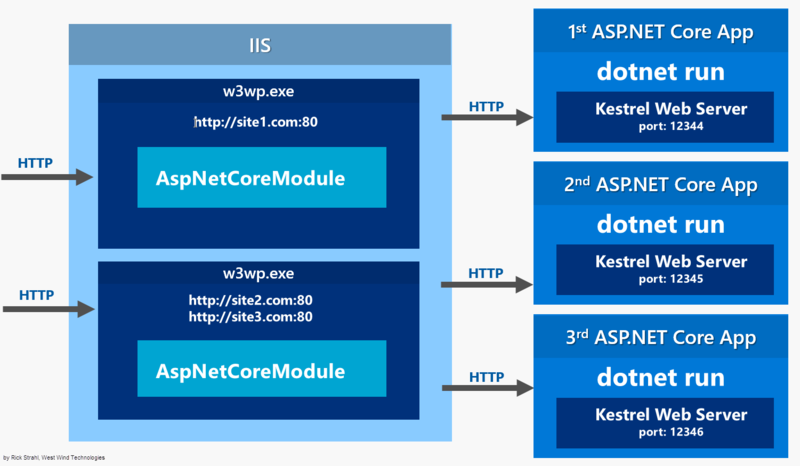 "IIS acts as a front end proxy to the backend Kestrel Console application that hosts the .NET based Kestrel Web server." "Kestrel's throughput is roughly 20x faster than classic ASP.NET on Windows. It's also nearly 5x faster at serving content natively vs. serving it through IIS:"
still limited to .NET 4.x ? "OpenXC™ is a combination of open source hardware and software that lets you extend your vehicle with custom applications and pluggable modules. It uses standard, well-known tools to open up a wealth of data from the vehicle to developers, even beyond OBD-II." "SmartDeviceLink™ connects in-vehicle infotainment systems to smartphone applications allowing automakers the opportunity to provide customers with highly integrated connected experiences, and app developers with new and exciting ways of connecting with their customers"